The William M. Thomas Planetarium will show the newly-arrived show "From Earth to the Universe" on Thursday, February 21, from 7:30 to 8:30pm. Doors will open 30 minutes before the show starts for seating and will be closed during the one-hour program with no late admittance. Tickets will be available for $8/adults and $6/seniors and children 5-12 years old from the Bakersfield College Ticket Office or online only starting January 18 (tickets will NOT be sold at the door). The BC Ticket Office is in Business Services (661-395-4326) and the William M. Thomas Planetarium is on the second floor, northwest end of the Math-Science Building, Room 112. 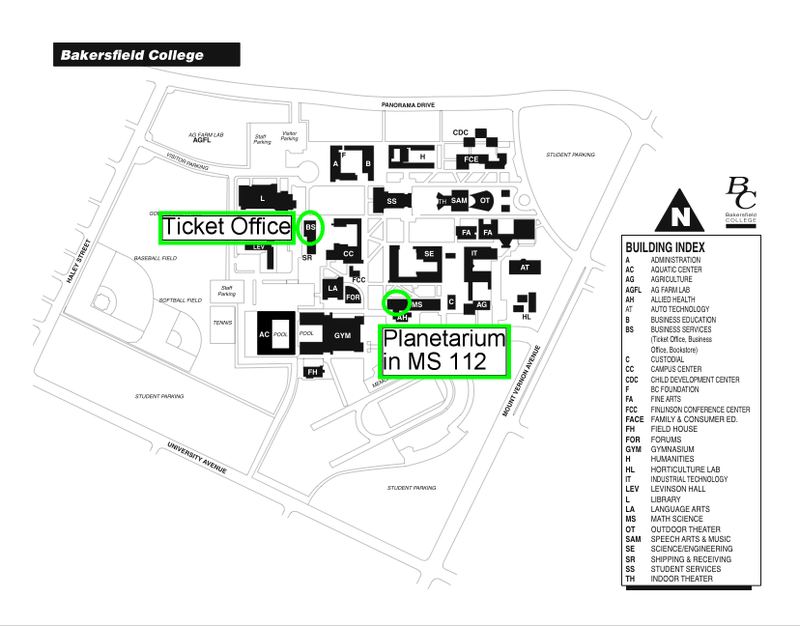 The map below shows you where the ticket office and the planetarium are. 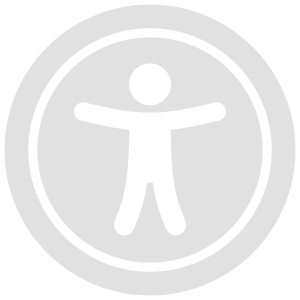 No food, drink, or gum/candy is allowed in the planetarium. Children must be 5 years or older. The one-hour show will begin with a short tour of the evening sky using the planetarium's Goto Chronos star projector followed by the 30-minute all-dome presentation from the European Southern Observatory called "From Earth to the Universe." This stunning voyage through time and space conveys, through an arresting combination of sights and sounds, the Universe revealed to us by science. The night sky, both beautiful and mysterious, has been the subject of campfire stories, ancient myths and awe for as long as there have been people. A desire to comprehend the Universe may well be humanity’s oldest shared intellectual experience. Yet only recently have we truly begun to grasp our place in the immensity of the cosmos. To learn about this journey of celestial discovery, from the theories of the ancient Greek astronomers to today’s grandest telescopes, we invite you to experience From Earth to the Universe. Directed by the young Greek filmmaker Theofanis N. Matsopoulos, and featuring a sweeping soundtrack from Norwegian composer Johan B. Monell, viewers can revel in the splendor of the various worlds in the Solar System and the ferocity of the scorching Sun. From Earth to the Universe then leaves our home to take the audience out to the colorful birthplaces and burial grounds of stars, and still further out, beyond the Milky Way, to the unimaginable immensity of myriads of galaxies. Along the way, the audience will learn about the history of astronomy, the invention of the telescope, and today’s giant telescopes that allow us to probe ever deeper into the Universe.